My first ever job was a dance teacher at Saturday stage school! I taught a variety of dance styles to kids aged 4-16! The job was great fun but I knew this wasn’t going to be my career! My first job in events was working as a waitress and part time office support for Best Parties Ever/Tapenade where I worked Paris Air Show, Anthea Turner’s Summer ball and shared Christmas party nights! Once I’d got the taste of events I decided this is what I wanted to study at university. My degree included a year’s work placement which I completed at Fulham Football Club. 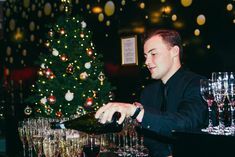 This year was invaluable for my career and after graduating from university with first class honours I started working for an events agency based in Surrey. Once the compulsory cup of tea has been consumed believe it or not our office gets their heads down and focuses (most of the time!). My day mainly consists of speaking with clients, generating contracts and doing showrounds. A day wouldn’t be complete in my world without the odd dabble in a spreadsheet too! Working in events isn’t as glamorous as it sounds…! There isn’t always champagne on tap and it quite often involves tiredly following guests out the building at 2am! 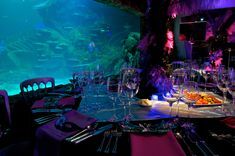 It would probably have to be our Miami to Ibiza Promo party a couple of years ago at the SEA LIFE London Aquarium. With 3D swimming pools and white carpets covering the entire Atlantic cove it was probably one of the most challenging yet exciting set ups I’ve done at Merlin! I’d love to work for an event agency so I would be able to get to know and work in a variety of venues! I’d own my own cake shop! I love baking so it wouldn’t really be like working! As I’ve just mentioned I love a bit of baking which means I entertain friends at lot at home. I’ve also recently started spinning too which is surprisingly enjoyable!